Russell and Bobbie O’Hare thought they were buying their dream home in a quiet neighborhood located in Grain Valley, Missouri with a population of just under 13,000. Their dream home quickly turned into a nightmare, but not because of house itself or even the community they live in- it’s the property management company that’s the point of their frustration. 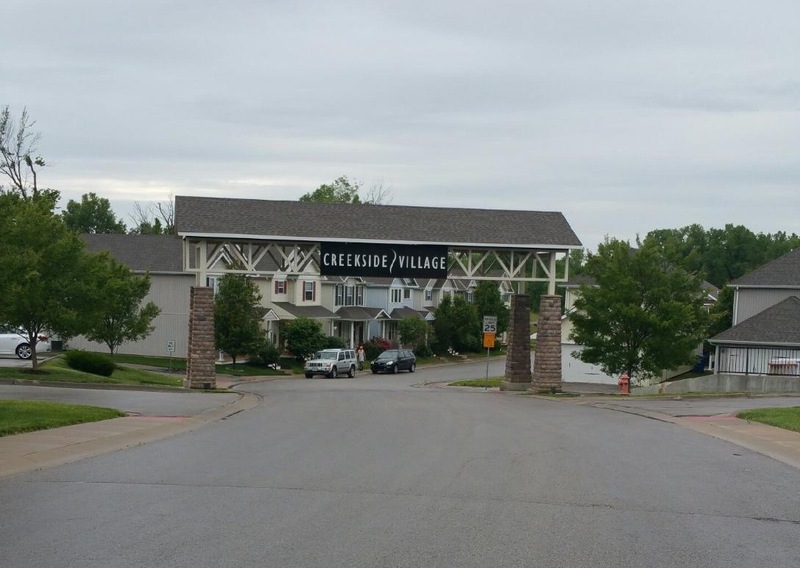 The housing community where they live, Creekside Village, is governed by a homeowners association (HOA) and when they moved in they had to pay $600 per year in dues, a fee they found high. The property management company, Results Property Management of Blue Springs, MO oversees the maintenance of the property. Quentin Kearny is a co-owner of Results Property Management, and the person the O’Hare’s dealt with most often. According to Missouri’s corporation records, the company is now called Results Real Estate Services, Inc. Kearney did not respond to several requests for an interview. The O’Hare’s purchased their Creekside Village home July 2014. The community is comprised of a mix of privately-owned homes, rental homes and apartments. At the time of purchase, the O’Hare’s said they were told they were getting quite a few amenities, including use of a clubhouse, pool, walking trail, pond and tennis court. “I knew the (homeowners association) dues were pretty high, at that time they were set at $6o0 per month, but we were told when we bought that the clubhouse, pool, walking trail, pond and tennis court were all included,” Russell O’Hare said. Not only did the O’Hare’s not receive all of the amenities that they were promised, they almost lost some of those they did have. Izak Bencuya, the president of the HOA and resident of California, wanted the clubhouse and the pool, the O’Hare’s said. Bencuya owns 24 homes within Creekside Village. The O’Hare’s allege that attorney Nick Porto had begun to prepare a proposal that would remove the clubhouse and the pool from the HOA, as well as the properties that Bencuya owns. The HOA dues would drop to $487, however, $385 would go toward the maintenance of the clubhouse and pool so essentially the homeowners would be paying for the maintenance on amenities no longer included in their HOA, and most likely would no longer have use of. Bobbie O’Hare and other HOA members were present at a meeting when the proposal was made. Bobbie O’Hare noted that Bencuya had sent her a text message saying he didn’t understand her doubts and fears and why she was questioning everything. Bencuya also named her vice president of the HOA, something she said she feels he did to appease her. Bobbie O’Hare said she and the others were able to halt the proposal to turn over the clubhouse and pool to Bencuya, however, she continues to question the motives. Tomorrow: Questions surface over how Results Property Management is using HOA dues.